Without mimicry, Banks reimagines the indomitable spirit of such masters as Red Garland, Wynton Kelly, Bobby Timmons, Horace Silver and their peers. 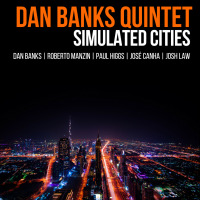 Jazz pianist, composer, arranger, and teacher Dan Banks is based in Medway, Kent. Although initially self-taught Dan has studied classical piano under the tutelage of Tim Carey, and jazz piano, theory, arranging, and composition with Eddie Harvey and Brian Everington. Additionally, Dan holds a Masters degree in performance (awarded with distinction) from London College of Music. Dan’s influences as a pianist are broad. His initial experience of music came from the likes of Paul Simon, The Beatles, and Ricky Lee Jones—all played a lot at home when he was a child. However, when he started formal piano lessons, these focussed entirely on the classical tradition. His formative experience of learning ‘classical’ music has remained, and still now Bach, Bartok, and Debussy feature in his practice on a regular basis. In terms of Dan’s jazz influences these range from what you’d expect (Keith Jarrett, Chick Corea, Herbie Hancock), to the more contemporary (Eldar Djangirov, Joey Alexander, Jason Rebello, Michel Camilo, Michel Petrucciani, Craig Taborn, Uri Caine, Marc Copland), via the non-pianists (Miles Davis, Chris Potter, John Coltrane, Wynton Marsalis, and many more). Dan is house pianist at the Bassment where he has performed with British Jazz luminaries including: Tim Garland, Jay Phelps, Laurence Cottle, Ian Thomas, Mark Nightingale, Paul Higgs, Nigel Price, Yazz Ahmed, Gareth Lockrane, Mark Armstrong, Jim Mullen, Vasilis Xenopoulos, John Etheridge, and many more. Alongside this, Dan regularly appears in the rhythm section at Trevor Taylor’s Jazz825 club in Southend-on-Sea, supporting musicians such as Josh Ison, Geoff Warren, and Roberto Manzin. 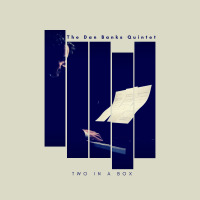 In February 2017 Dan released his debut album, Two In a Box, featuring Roberto Manzin (sax), Paul Higgs (trumpet), José Canha (double bass), and Josh Law (drums). This album was inspired by the classic Blue Note sound of Horace Silver, Lee Morgan, Hank Mobley, and many others. It consists of seven original compositions from Dan and has received highly positive reviews in numerous publications. A small tour and second album are planned for 2018/2019. During 2018, and in response to his doctoral research, Dan began exploring alternative modes of composition and performance—particularly free-jazz and improvised music. As a result of this, he has been working on a project with Trevor Taylor (drums and percussion) and José Canha (double bass) exploring the intersection between free-jazz and sonification, using this as a platform to mediate and examine issues of anthropogenic climate change. The result is a captivating DVD and CD box set, not only presenting the finished product but also documenting the process and motivations behind the project; this will be available from FMR records in early 2019. As a sideman Dan performs regularly with various Essex-based projects including: Solar, a jazz-funk outfit featuring Alex Hearn on guitar, Ben Hearn on bass, and Joshua Law on drums; The Simon Hurley Quartet, guitar-led ensemble headed up by Colchester based guitarist Simon Hurley, also featuring Andy Staples (double bass) and Alex Best (drums); The Julia Quinn Band, a five-piece band performing an eclectic set ranging from Joni Mitchell, through the Great American Songbook, to subtle and imaginative re-arrangements of popular music, featuring Julia Quinn (vocals), Tony Sandeman (guitar), Marc Cecil (drums), and Andy Staples (bass); and Tony Sandeman’s ‘Natural Selection’, a five-piece band exploring some of the more unfamiliar corners of the jazz-fusion repertoire, featuring Tony Sandeman (guitar), Zak Barrett (sax), Andy Staples (bass), and Martin Johnson (drums). Dan is also heavily involved in education and is currently a part-time lecturer on the MMus (work-based learning) course at London College of Music. Additionally, he is often in demand as a clinician and has given masterclasses on jazz theory, jazz piano, and jazz pedagogy for institutes and organisations across the UK. All About Jazz musician pages are maintained by musicians, publicists and trusted members like you. Interested? Tell us why you would like to improve the Dan Banks musician page.